Supply chain management refers to the production, administration, and logistics of inventory, information, raw materials, and finances. It covers everything, from physical stock to the sale of the final product. Supply chain managers work closely with the other businesses in their “supply chain”, (also known as a “distribution channel”), to ensure that products are ready on time and are manufactured within the set budget. What are the career opportunities in Supply Chain Management? Career opportunities in this field are close to endless, the main reason is that supply chain managers can seek career opportunities in just about any industry. The supply chain management sector is ever-growing, which allows current supply chain managers the opportunity to find jobs in their field, quite easily. A purchasing agent, one who is responsible for buying equipment or services needed for the daily operation of a manufacturing enterprise. He/she is also in charge of preparing purchase orders, evaluating and reviewing orders for goods and services as well as requesting bid offers. The purchasing agent is also entrusted with the task of negotiating and administering supplier/vendor contracts as well as contractual agreements with other agents. The operations manager is responsible for the overall operation of an organization and for directing and coordinating all duties and tasks pertaining to the production, pricing, sales and distribution of products. They are also in charge of evaluating the employees’ performance regarding productivity in order to recognize the aspects that need a reduction in cost and to identify which areas of the production process are in need of improvement. A logistics analyst, evaluates the supply chain process to recognize and suggests ways to optimize and improve the process. He/she also manages the databases that collect and categorize information regarding logistics. The logistics analyst produces an ongoing analysis of transportation expenses, material procurement, and/or the delivery process. This is a very vital part of any business as it directly affects the supply chain because it deals with the receiving and delivery of products. A logistician, however, has the role of creating and maintaining meaningful, positive relationships with the key personnel of a client who is connected or associated with logistic activities. They coordinate all logistical activities of a business as well as evaluating and assessing the logistics department’s performance with customers, against the set benchmarks, targets and service delivery agreements. The production planning clerk holds the responsibility of expediting the workflow and materials from department to department, in accordance with the production schedule. They distribute the production schedule to various departments, along with the work orders. The production planning clerk is also in charge of accelerating the flow of supplies by making the necessary arrangements for the assembly, distribution or delivery of materials. The storage manager trains the selected warehouse personnel after they have interviewed them. They also manage the storage and distribution of products or materials of a business. They create and execute storage safety and security procedures and programs. Planning and guiding buyers/purchasing officer’s activities are the responsibility of a purchasing manager. 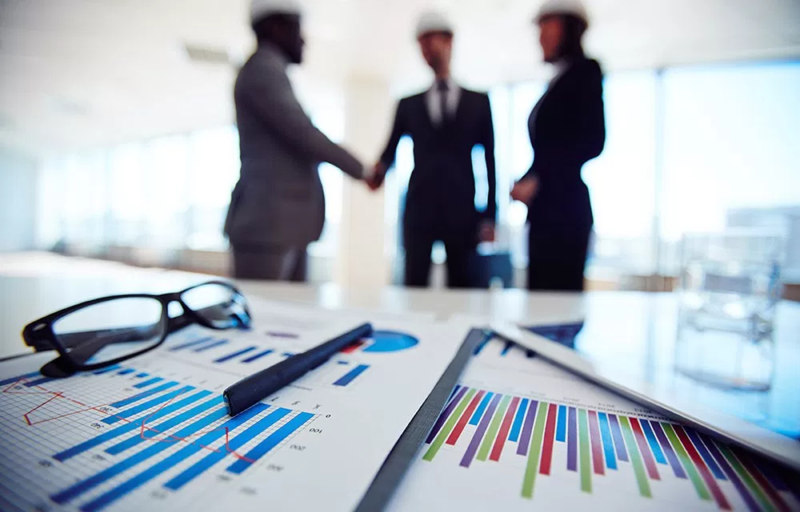 They take on the duty of being an organization’s representative in negotiating and formulating purchasing policies between the organization and their suppliers. They manage the entire purchasing department and its subordinates. A customer service manager is actively seeking customer feedback after consumption of the product/service. They tend to be customer focused and obtain critical thinking skills. They develop methods to recognize and resolve problems that customers face. Project managers supervise analysts and work hand-in-hand with consultants to ensure that a project is completed on time. They are responsible for guiding consultant teams in daily customer relations management. The transportation director manages the outbound and inbound transportation of raw materials and final products from the distribution center. They make sure that transportation moves effectively as well as efficiently. A supply chain consultant manages the foreign distribution center for a variety of companies by aiding them with strategies and tricks on how to best execute specific processes. Ideally, the role you would want if you studied supply chain management, is the supply chain manager who is responsible for guiding and coordinating the entire supply chain process, with the intent of minimizing costs and improving efficiency and customer service. To be a supply chain manager that dances in success, you need to obtain flawless leadership and organizational skills as well as the ability to communicate effectively. The supply chain manager is in charge of the overall management of forecasts and expenses to recognize changes and discover the effect these aspects have on the supply chain process. He/she also has the duty of developing procedures to aid in the coordination of supply chain forces together with the other departments, such as marketing, production, finance, quality assurance and sales. Many supply chain management graduates have started in typical entry-level positions and have worked their way up, to managing the overall supply chain process and the subordinates. However, not all have. Ultimately, the ideal dream would be to end up as a supply chain manager, but like mathematics, you would need to know the basics first before you can progress to the tougher problems. Likewise, the entry-level jobs equip you with the knowledge that is needed in order for you to climb up the corporate ladder. There are many career paths that you could choose within the supply chain management field. Those jobs would still need basic knowledgeable background information. Depending on the industry you choose to enter, the overall responsibility will remain the same, whilst the smaller tasks would be customized to meet the needs of that industry. Be it product industries or service industries, supply chain processes exist. Whether it is a large or small supply chain process, it needs a supply chain manager as well as subordinates to ensure the overall process is successfully executed to optimize revenue and customer satisfaction whilst minimizing costs.